This Cake is really zingy, delicious and perfect to lift you and your friends out of the winter blues. 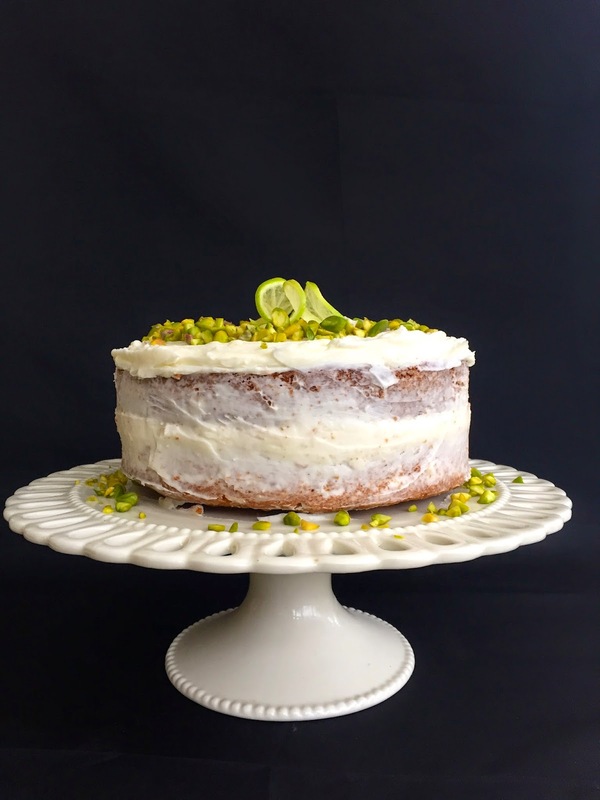 The spring green colours of the limes and peeled pistachios really adds to the finish of this cake, and of course a bounce of colour. These particular pistachios have been brought back from Greece from the famous island of Aegina. An island not far from Athens but one that has pistachio trees growing all over it, right down to the pebbly beaches and up to its peaks. We brought these back last summer from a friends pistachio plantation and they are still as crisp and fresh as they where when first picked. I decided to ice this cake with a 'naked' layer of icing on the sides as it adds a bit of rustic character to it and I think looks quite impressive once all your extra decoration is finished. slithers of lime for further decoration. Start by combining your butter and sugar together until light and fluffy, then add your eggs, flour and baking powder. Beat until all is well combined and then throw in your finely chopped pistachios. Then spoon your mixture into two, 8inch greased baking tins and bake for 30mins. To test if it is done see if it springs back to the touch and is golden brown then leave to cool. While you wait get on with your lime cream cheese frosting. Mix butter, icing sugar, lime juice and philadelphia in a bowl. Once your cake is completely cool pile the frosting on one sponge then place the other sponge on top. Next scrape a small amount of frosting around the edge to get the 'naked' effect and then dollop more on top for a luxurious spread ready for decoration. 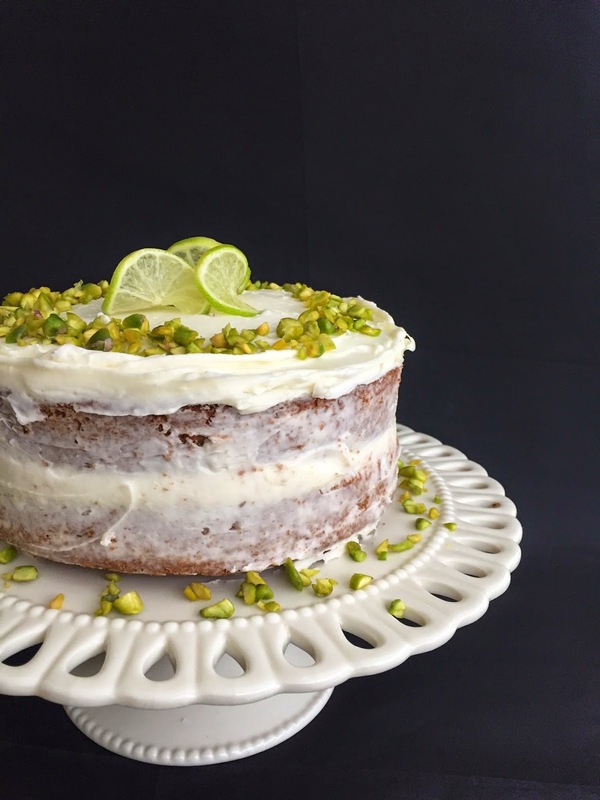 Chop your peeled pistachios and sprinkle on top, add some lime very thinly sliced to add height to your cake sit back and enjoy!